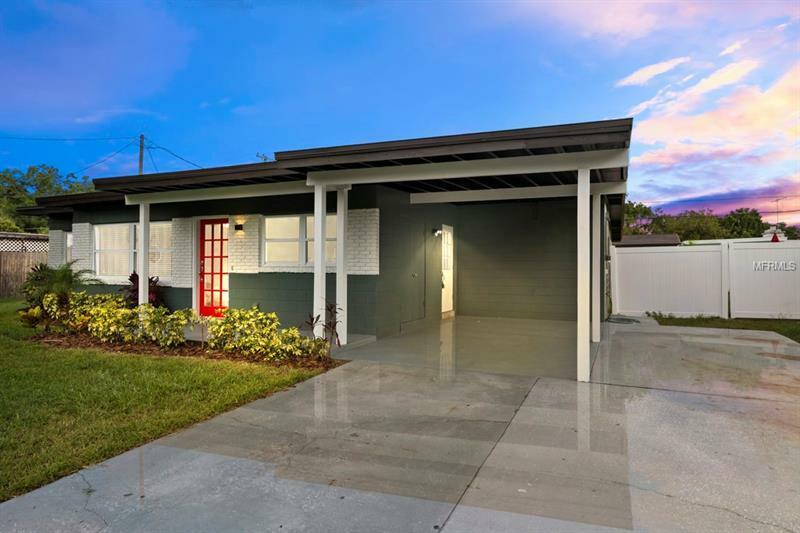 Welcome to a completely renovated classic and modern DESIGNER home situated in a quite end street with a lake instead of front neighbors! Open floor concept with privacy fence! Don't miss out on this corner lot this 4 bed/2 bath home that's been professionally upgraded and designed to a classic & modern setting & ready for you to move in! It has a brand new Roof and a custom modern Kitchen with stainless steel appliances, a dual beverage/wine center & modern glass back splash. The Kitchen has premium Quartz counter tops. The house has been painted inside and outside. All bathrooms have been completely upgraded. Every vanity, shower, bath, sink, faucet, floor tile, wall tile, toilet, paint is brand new & modernized. Comes with separate laundry/utility room with a washer/dryer connection. This house features 2 Master Suite that come with a built-in walk in closet. The Master bath is equipped with a modern corner shower and floating vanity. Brand New Premium Laminate Flooring throughout the house. So much room inside & outside! The new vinyl fence on the corner unit provides an extremely private yet open setting. Huge fenced backyard also includes a modernized shed! Better yet, its location in the wonderful neighborhood of Conway area. A centrally located beautiful home center to major highways & minutes away from Downtown, Mall of millennia Fashion Square Mall. Dont forget 'A' RATED schools (Boone, Conway) Come see this great home & bring your imagination & offers! This one will not last!